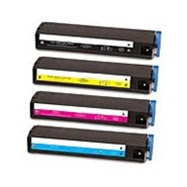 Here at Toner Spot, we not only provide premium quality remanufactured cartridges, but also provide knowledgeable services when customers encounter technical issues. 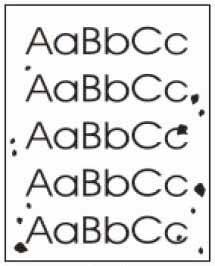 Few of the common questions we occasionally get usually regards to printed image defects such as fadeouts, unwanted lines, and specks. Users must be aware that not all the issues are caused by cartridges, especially when the units are made with high standard procedures such as our ISO-9001 products. We’ve pulled out some common defects and their possible causes along with solutions for your reference. - Toner level might be low. Try to take out the cartridge and gently shake the unit. Reinsert the cartridge back to the printer. This is a temporary solution before replacing a new cartridge. 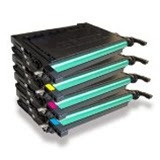 - Make sure the toner/drum cartridge is installed correctly. - The media might not meet the specifications such as cardboard and laminated paper. - The print might be due for maintenance. Users can check on the printer status and see if the unit needs further checkup before processing any more print jobs. - Make sure the EconoMode or any other Toner Saving mode is turned off. 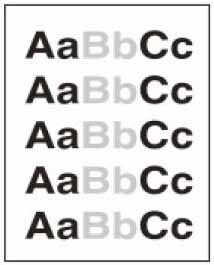 - Users can adjust the print quality or toner density setting for better printed results. - The media might not meet the specifications. 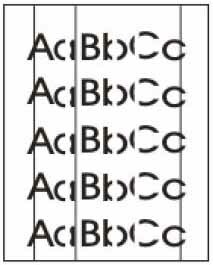 Try to switch to other type of paper and test the print quality again. - Print a few more pages and see if the problem corrects itself. 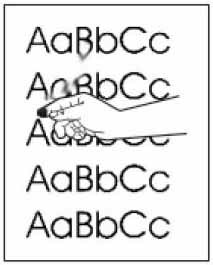 Usually specks will occur after removing paper jam but the problem should not persist after a few more copies. 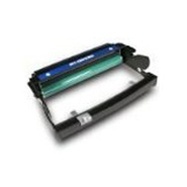 - Thoroughly clean the contact areas for the cartridge, the fuser, and the printer. - Check the cartridge and see if there is any leaking spot. If so, remove the unit and thoroughly clean the area, then replaced with new cartridge before processing print jobs again. - Print a few more pages and see if the problem corrects itself. 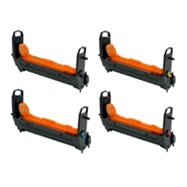 - Thoroughly clean the contact areas for the cartridge, the fuser, and the printer. Sometimes dust can be the reason of unwanted lines on paper. 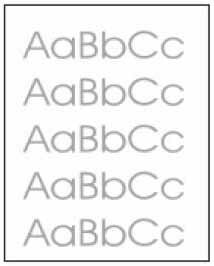 - Change to a higher printer quality setting to help the toner fuse more completely onto the media. - If the media comes with different textures such as smooth rough sides, try to switch sides and test out the printed quality again. Here at Toner Spot, our customers can rest assured that all of our products are re-manufactured under ISO-9001 Standards and processed through strict quality control before selling in the market. Below are our recent customer feedback on some of the popular items. Remember to use the coupon code BLISS13 before mid March to receive 10% off entire purchase, and there is no shipping fee for orders over $75 contiguous U.S. states. Price: $214.99, but only $193.49 after 10% off promotion. "I tried out black toner first and it works perfectly. Later on the colors work well too. Will def buy again." Price: $49.99, but only $44.99 after 10% off promotion. "First time trying out compatible unit cz drums are just getting too expensive. So happy it works out just like the ones we had before!" "Name brand units are so pricey for these units and I was able to save so much more and the units work just as good!" We consistently try to expand our product selection and all the newer cartridges might not be listed on our website. Please email us at sales@toner-spot.com if you can’t find your items online and we will reply within 12 business hours. Special discount available for small businesses and educational institutions!